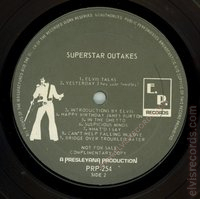 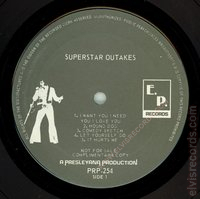 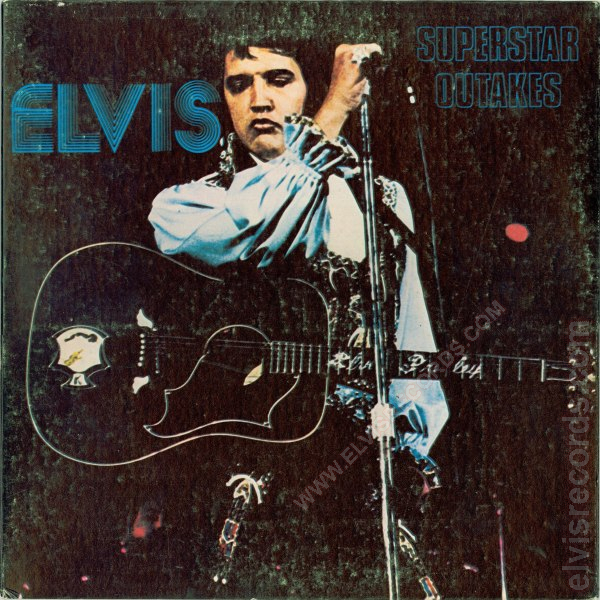 Cover Front: Black background, picture of Elvis, Elvis Superstar Outakes in blue letters. 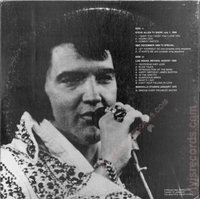 Cover Back: Black background, black and white photo of Elvis. 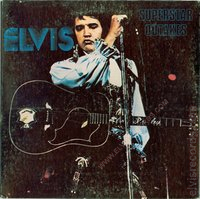 Song titles on right side of Elvis. Gatefold: Features two black and white photos of Elvis.